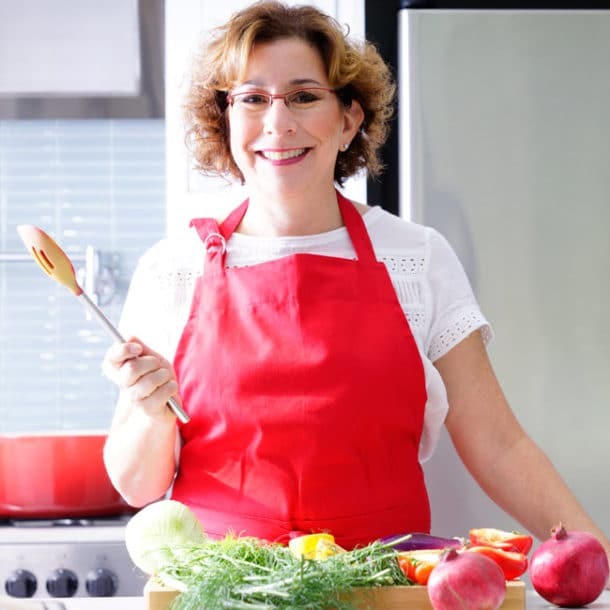 Welcome to Tasting Jerusalem, a virtual cooking community where we’ll hang out, chat about cooking, ingredients, and recipes, and enjoy delicious dishes. Sarene and I, your fearless group organizers, share a long-time friendship, mutual love for food and cooking, and long careers in the communications profession – all of which lead us to Tasting Jerusalem. After a fortuitous conversation on Twitter about our shared interest in “Jerusalem: A Cookbook”, we decided to combine our interest in the cuisine and cooking and launch a virtual cooking community to explore this book together. The group will “meet” monthly about the topic and recipes, but feel free to chime in anytime during the month to share photos, stories or ask questions. Middle Eastern cuisine, informed by the religions, cultures and geography of the region, enjoys complex flavors that are foreign to many of our palates, which is why we have launched #TastingJrslm. The goal of this group is to become familiar with the region’s culinary personality by traveling virtually through its ingredients and flavors using the recipes in “Jerusalem: A Cookbook” by Yotam Ottolenghi and Sami Tamimi (Ten Speed Press). “It’s very versatile, can be added to so many dishes,” says Sami Tamimi, co-author of Jerusalem: A Cookbook. 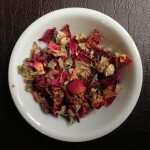 Sumac is a dried red berry with a tangy flavor and fruity undertones. Its culinary use is said to date back to ancient Roman times. Today, it’s most often found in Middle Eastern cuisine, where flecks of the ground, red berry appear in savory dishes. Tamimi also uses it in puddings. 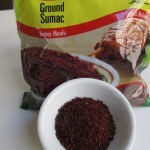 Sumac is used on its own to add a bit of zip to dishes or in spice blends like za’atar, which also features thyme, sesame seeds and sometimes oregano. It’s available at Middle Eastern grocers and through many online retailers such as Penzeys Spices and Dean & DeLuca. A Staple: Hummus, pg. 114, you can head over to NPR to hear the Ottolenghi/Tamimi interview and you’ll find the recipe available there, in case you haven’t ordered the book yet. Hummus is such a staple of the region that we wanted to include it right from the start so you can fine-tune your version. It is lovely with a sprinkling of sumac on top but not necessary. 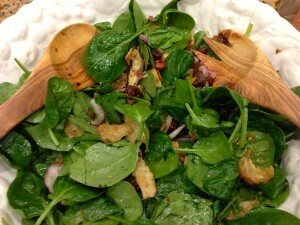 Spinach Salad with Dates and Almonds, pg 30 – this salad uses sumac but the night I experimented, I used a store-bought za’atar spice mix instead. It was still a knock out. And I think you can add a protein to this dish and serve it as a main course. Both of these are approachable for a midweek meal but combine ingredients we might not be accustomed to using in a typical meal. Turkey and Zucchini burgers with Green Onion and Cumin served with a Sour Cream and Sumac Sauce, pg 200 – @yumivore of the blog Yumivore.com is a former resident of Israel and one of our culinary experts in this group. 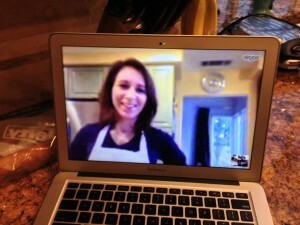 She has already cooked these burgers so can provide feedback and answer questions. She said they are easy to put together and a good choice to get a quick meal on the table any day of the week. What recipes can be published and how to publish: We expect to cook through most, if not all, of the recipes in the cookbook over time. As such, for those of us blogging or writing about our experiences in any way, it’s important that we don’t include the recipe in our blog posts, unless Ten Speed Press has approved its use. The goal of the group is to learn together and enrich our experience using this cookbook, not create an online version of it. 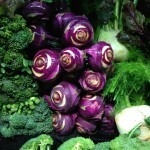 We are in touch with Ten Speed Press to find out which recipes we can post. For an example of another group that writes about their cooking but doesn’t post each recipe, please visit French Fridays with Dorie. Have fun! And give us feedback. Sarene and I decided to do this out of sheer enthusiasm for the cookbook and the potential for expanding our cooking horizons and meeting people from all over who want to do the same. We are completely open to the group morphing and changing as we go along. And always include a link to a website where someone can purchase the cookbook, such as Amazon. If you plan to write about it in your blog, I have a document with the recipe already typed out and a photo, just email me beth (at) omgyummy (dot) com and I’ll send it to you. 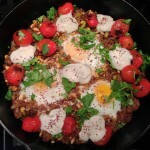 Tasting Jerusalem: Couscous, Creativity, and a Contest! Beth – this is a wonderful idea. Jerusalem is a beautiful cookbook and this seems like a great idea to dive into it. Thanks Cher. I was inspired by the learning and commeraderie of French Fridays with Dorie, but also the sheer beauty and interesting flavor profile of the recipes are stretching me outside my usual comfort zone. 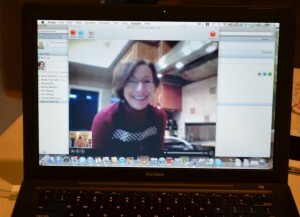 I hope to be cooking with you guys soon – I always follow along and check in on what’s going on! We have kept the format as open as possible to encourage anyone to join in any way that they can. It’s fun to see dishes that others have already tried – gives us inspiration for the future! Glad to have you with us Batya! I’m looking forward to reading about the group’s progress through the book. It’s one that’s on my wishlist currently. Hi Teresa! So great to see your face here! I still follow along with the recipes at French Fridays and hope for an opening in my schedule to cook and share with the group – I am always glad that I did. Hope you get “Jerusalem” soon and can join the fun with us as well! What a neat idea! I’m excited to see where this goes. Very clever indeed…especially like the collection of networking, recipes, and meal plans. A trifecta of success! A trifecta of success – I might have to quote that. 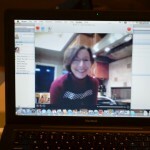 Thanks for your enthusiasm – thrilled to have you join the cooking and conversation! So glad you’ve started this effort. Like most cookbook junkies, I’m guilty of making 2 or 3 things from a book and that’s it. Can’t wait to really dig in and get cooking. Thinking the turkey burgers may be Monday’s dinner at the end of this long weekend. We are so glad you are cooking along! Turkey burgers for the superbowl – love that! You are an inspiration to the group Michelle! 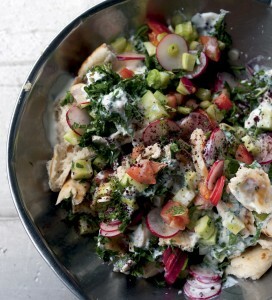 So excited to just come across your Tasting Jerusalem project on the Daily Dish! Ironically I just tried my first recipe Zucchini and Green Onion Turkey burgers from this cookbook on Sunday with great success. 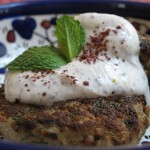 I substituted Za’Atar instead of straight Sumac in the yogurt sauce and it turned out great. I’m already in love with this cookbook after one recipe. I look forward to reading and sharing! Hi Sadie – Welcome to OMG! Yummy and Tasting Jerusalem! I just made the turkey burgers last night – my son loved them, as did I! I’m just loving being pushed out of my comfort zone to try new ingredients and combinations. I subbed za’atar in the spinach salad cuz I didn’t have any sumac yet and it was terrific. Great idea! I am so excited and honored to join in this cooking journey! I can’t wait to learn and share and eat together. 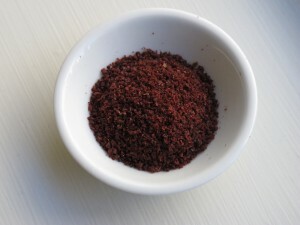 I’ll be popping into our little Middle Eastern market to pick up some sumac. Thank you to you and Sarene for organizing this adventure! You’re welcome Hannah – We are truly lucky to have you cooking with us and sharing your expertise. I am already learning so much – can’t wait to hear/see more of your condiment-making to go along with the recipes this month. sounds like a great endeavor for you and Serene. Good luck with it. Congrats to you and Sarene on this terrific effort! Thanks Carol – we are so happy to have cooking along – we’ve already learned so much from your kitchen! What a wonderful initiative, honored and thrilled to be a part of it! There’s nothing like traveling via your taste buds and the cookbook does allow you to venture to Jerusalem each time you have a bite. Happy to not only share my experience, but eager to learn new things as well. Beth, lucky and wonderful to have you close by and hope we get to see Sarene and Carol here for a visit (or a road trip is in order). First up, looking forward to more sumac! Hoping both Carol and Sarene will be here in April for IACP – can we convince you to attend and if not, let’s at least plan a gathering while they are here! As Ferran Adria said when he was here, you never stop learning even when you are a world-renowned chef. He said there are over 600 types of oranges so there is always something new to try. Thrilled to have your enthusiasm, creativity, and informed perspective. Perhaps a silly question: Do we need to make EACH recipe every month? I’m interested but that’s too much for even me to fit in! No – not silly at all. No, you definitely don’t have to cook each recipe — we thought we’d offer up several choices and each person can cook what works for them. 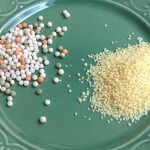 There is variety both for cooking level, tastes, and time. Cook them all, cook just one or anything in between. But when you cook – let us know through photos, comments, blog posts – whatever works for you – so we can “taste” your success or learn from your variations or suggestions. Mardi, Good question–no need to cook all the recipes. We wanted to give everyone some options. So feel free to cook one or all. We look forward to hearing about your sumac experiments!